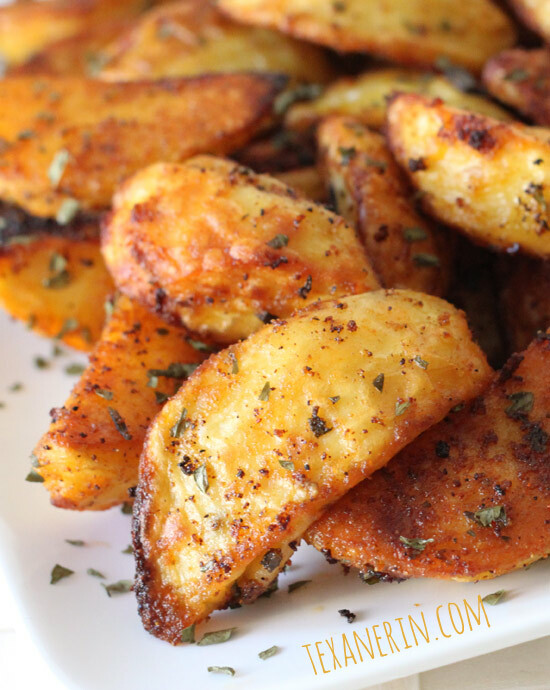 These spicy potato wedges are not good reheated, so eat them up while still warm! Honestly, you won't have any left over, anyway. Preheat the oven to 450°F / 230°C. Pour the olive oil onto a rimmed cookie sheet. Add the spices and mix with the olive oil. The baking time will vary depending on how big your wedges are. I usually bake mine for 20 minutes, take them out of the oven to flip them, and bake for another 10 – 15 minutes. If you want them crispier, just bake them for a few minutes longer.